From time to time we just get fed up with the same things we eat, that usually being fast and unhealthy food. Some people have the will but don’t exactly have the time or enough knowledge about the topic. If you decided to ditch fast food and unhealthy eating and substitute it with your prepared healthy meals, but you don’t know how and where to start, follow this ultimate guide and prepare to change your life for the better! There are a lot of benefits in meal prepping, and you will notice them already in the first week. You will notice the change in your wallet, you will manage to be done with all of your daily tasks and the shopping will have a totally different feel to it. The first good thing about meal prepping is saving your money. A lot of people think that to eat healthily you will spend more money. This is not true if you know just how to do it. With meal prepping you will be able to save money because you will be buying more stuff at once and taking advantage of your freezer. Buying in larger quantities, especially when the groceries go on sale, will save you a lot of money in the long run. You don’t have to worry about buying too much because you can always cut it in pieces and leave the rest in the freezer. You will always have a supply of food ready to be defrosted. Watch for sales and stock up things that can last, olive oil, spices, and the main food ingredients that won’t go stale and can be put in a freezer. Another thing that meal prepping is excellent for is multitasking. It’s a great solution for busy people that run on the clock. It will cut your time in the kitchen, and instead of eating a lot of fast food, you will be eating healthy and stay on your schedule. Also, while you’re prepping the meals, you can do so by preparing more than one at once. For example, you can fill your oven with sweet potatoes, roasted veggies, eggs and chicken breasts all at once. Combining these kinds of foods will not alter their taste, they go well together, and the time saving is remarkable. Before this meal planning shopping was boring and tiresome, now it will turn into a fun activity. Before going to the store, you will create lists. The list should have several categories which will need to be fulfilled. The categories are vegetables, fruits, dairy, grains, fats, and proteins. To make the lists diverse, try to include one new food a week in each of the categories. For example, if you bought fish for a source of protein last week, this time go for a different kind of fish or an entirely different source of protein. One more benefit of lists is that your body won’t get used to a one way of eating and you will avoid processed food thus making your body much healthier. Also while prepping the food, you will learn portion control. People get this idea that it’s more important how much calories your burn instead of how much you intake. When you prepare your food yourself, you know exactly what you use and how much nutrients and calories it has. While preparing the food, you will get a real insight of what a quality portion of food is. There is also the fact that portions of fast food and food in restaurants are universal, and by cooking and preparing the portions yourself, you will be able to make the portion based on your appetite, and you will avoid overeating. Some people think that prepping takes a lot of effort and hours spent in the kitchen. That’s case with all the work you do unorganized. Also, you can only focus on what is your priority, for example, if you want your breakfast to be ready because it’s the most important meal of the day, then prepare some breakfast groceries like oats, protein shakes, egg cups, etc. The key is in starting small, and then once you mastered that, you can move to bigger tasks. Overall it will make a great learning experience which will be both informing, life-changing for the better and a healthy solution. Healthy eating is healthy living, as the people say “you are what you eat” so it’s important to pay attention to what are you eating throughout the day. Don’t treat yourself like a trash can, there’s absolutely nothing positive about that kind of lifestyle. A healthy eating plan is an investment in yourself. Planning a healthy diet will give you protection against future diseases, and it will contribute to your general wellbeing. The general opinion is that the healthy food is not that tasteful, and you will see how wrong this statement is. The best part of every meal is the seasoning, sauces, and flavors that come from vegetables. It doesn’t mean you have to make your eating plan based on vegetables, only not to exclude them and to reduce the sugars and bad fats that can ruin your immune system and cause various types of diseases. The healthy diet has to include essential nutrition: amino acids from protein, fluid, essential fatty acids, vitamins, minerals and calories based on your weight. Pro Tip: Avoid artificial sweeteners as much as sugar, they are not a healthier option. Planning how much of calories you intake and choosing the sources of them can help you regulate your weight and maintain the balance in your body. The requirements can be met from plant-based foods and animal-based foods; a healthy diet provides enough energy and nutrients without excessive weight gain and exposure to toxicity. The lack of calories is not a problem if the body gets enough nutrients to stay healthy, that, of course, depends from person to person, if you’re a very active individual, you will have to intake enough calories to meet the energy requirements. The idea to have a dietary therapy is not something new, it’s pretty old, and it goes back to traditional Chinese medicine. The core of a healthy diet is very simple: you should eat less, be more active, eat a lot of vegetables and fruits. And as always, avoid the junk foods as much as you can, no one can expect you to isolate yourself from them completely; we’re only human after all, but reducing them to a minimum is the smartest thing to do when it comes to a healthy eating plan. To make the plan not look like a punishment, and I say this cause a lot of people have that kind of feeling, you can make small healthy treats that can seem like a junk food, but are healthy and taste awesome. For example, you can make a fruit salad with cream, and lots of cream. There is a catch though, make the cream yourself from a low-fat milk and without sugar. Instead of sugar, you can use honey, it will blend quite nicely, and the taste will be amazing once it cools off. Make big portions and overeat if you like, since there is nothing in there that will make you fat. The treats are always the biggest temptation, once you manage to make them healthy and satisfy your needs for sweetness, the rest will be easy, trust me. I used to go savage on the treats that altogether had so many calories that I almost hit 1500. The big problem about that is that the sweets don’t satisfy your hunger, and you still have to eat, going way over the maximum daily calories needed. The path you’re going to take will not be that long or difficult if you get into detail from the start. Even though nothing can be done over the night, you will master meal prepping and become a professional meal planner in a short period if you dedicate to it. You can start by exploring various recipes. Today that’s an easy task thanks to the internet. Take some time to browse the recipes and save the ones you like. Organizing recipes is an easy task, especially for the ones you found online.Create a subfolder in the bookmark folder of the browser, name him “Recipes,” you can even create a few folders inside of it to make an even more detailed organization. For example breakfasts, lunches, dinners, salads, etc. If you found a few recipes in a magazine or some other printed form, scan it, print it, and make a scrap-cookbook. There’s a handy app to scan documents for your phone; you don’t even need a scanner, check it out here. You can download a Meal Planner and print it, to write down all the things you will need. Once you got your set of recipes, choose the ones you want to use for the week or two, and put together a shopping list. Check the ingredients you will need from the recipes and arrange them on the list. Pro Tip: Choose the recipes that have similar ingredients, that way you can buy more of a single item and save money, especially if it’s at a discount. When you start planning the meals for the week, at the beginning cover only the busiest of days. You might get overwhelmed at the start and give up quickly. Once you make a habit out of it, you can start planning the whole week, and it will feel like an easy task. Write down the groceries you need along with the quantities required. If you’re not a fan of keeping on track with things on paper, you can create a list on a Notes app on your phone and check each item you get on the way. Next, prepare the meals according to the recipes. Consider preparing the bigger pieces of meat and vegetables. You can cook the whole chicken, slice it up, and then season it and use it in different kinds of meals. The same goes for vegetables, wash them, cut them and make them ready for a salad, or cook them without seasoning, then take portions and season them according to the recipe. Pro Tip: To make the seasoning easier, prepare different kinds of sauces and keep them in the fridge at the reach of the hand and ready for use. Once you’re done with cooking, create serving from each meal to get it ready for packing. Measure the servings accordingly, don’t prepare an unnecessarily big serving if you’re on a diet. If you have set a certain goal with your diet, like muscle gain or weight loss, make sure that the recipes and meals you choose cover all the nutrients needed for the type of diet you have. That is if you didn’t take care of how much exactly of every nutrient the meal has. The weight and volume should be controlled in this case if you’re not certain how much fat or carbs the meal has. But don’t worry, by the end of this guide, you will be covered in that section as well. Once you prepared the servings, it’s time for packaging. Use small plastic containers for sauces and salads. The meat should be kept in in the freezer, so it doesn’t go stale. You can plan your meal prepping for a longer or shorter periods of time, but a weekly plan is the most optimal one. Once you master the weekly plan you will be able to adapt to different situations in life and prolong or short the existing plan you made. Plastic food containers (various sizes). Aluminum foil to keep the food fresh. First, check do you have enough containers to store your meals. The best solution is the plastic ones which come in various sizes. Pro Tip: Get a particular kind of plastic containers built for this purpose, they have a rubber on the edges of the cover, so the food stays fresh and secure inside. By the size of your meals, get yourself a couple of containers, so the meals are easy to pack. If you want to bring several meals with you through the day, you can pack them in a bag or a lunch box. Next, schedule a day in the week to prep all of the meals. Mark the day you’re the least busy and cook everything you want for the next week. If you have any food left from the day or two before, you can use the leftovers to mix them with the fresh food, if they can be used that is. After you’re done cooking pack the meals separately, use a different container for breakfast, lunch, dinner, and snacks. You can put the labels on the containers and write dinner if the dinner is inside etc. You will probably need some snacks for the extra energy needed sometimes. Whatever the snacks you decide to make, let them be protein based, or bring a fruit instead like a banana or some grapes. Pack the snacks in vacuum bags, so they are easily accessible throughout the day. Treats cannot be escaped, and they are a good and quick source of nutrients and energy, just keep them healthy, and it’s all good. If you plan on bringing along the food supply for two or three days, consider investing in an insulated meal bag. Insulated bags have a controlled temperature that keeps the food fresh for a couple of days, it might sound like an unnecessary purchase, but without it, you will end up throwing away your food. That way you’re not only going to be hungry, but you will also waste a lot of money and time on finding a quick substitute on the way. Pro Tip: Be sure to check are the containers BPA free, and can they be used in the microwave because you will be reheating your meals at home. While planning the meals for entire week pay attention to how long can the prepared food be stored in the fridge. Cooked foods may lose their flavor over time, so don’t plan on prepping the cooked food for more than two days in advance. Roasted food will be fine even after three days and it won’t lose that much flavor as the cooked food will. 1-2 days: Ground beef or cooked ground poultry. 3-4 days: Soups and stews, fish and poultry, cooked whole meats. 5 days: Hummus, Cooked beans. 1 week: Hard boiled eggs, chopped vegetables if stored in air-tight container. 2 weeks: Soft cheese, opened. 5-6 weeks: Hard cheese, opened. 2-3 months: Cooked beans, stews and soups. 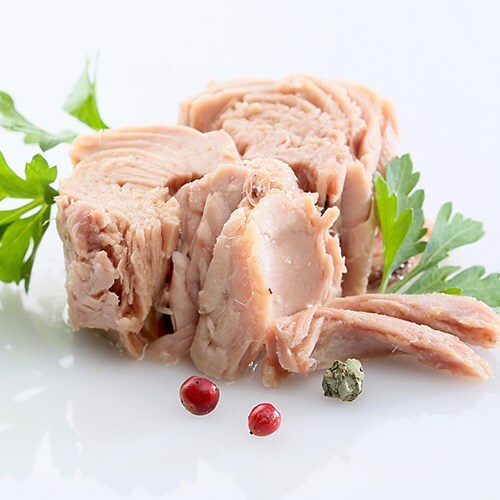 3-6 months: Cooked or ground meat and poultry. 6-8 months: Chopped fruit (mango, plums, banana, pears, apples) and berries stored in a freezer bag. 8-12 months: Vegetables, if blanched first for about 3-5 minutes (depending on the vegetable). For emergencies like that one, you can prepare a protein shake and bring it with you. There are various types of shakes you can make, just make them with water instead of milk, or use a low-fat milk. 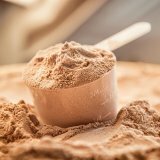 Any protein powder would be ok; you don’t exactly have to buy a whey protein to serve its purpose. There is one easier way for this case too, if you look in the bigger shops, you might find chocolate milk in small packages with extra protein in them. They are packed conveniently in small packages and can serve as a substitute for a snack as well. Pro Tips: Remember to bring a bottle of water with you as well; hydration is essential to stay fit and healthy. If your day is extra busy and you need a kick to keep you going, get water with electrolytes that will keep you hydrated and full of energy at the same time. Even the most organized persons can get their schedule tangled up during the busy day. To help you tackle this problem the easiest way possible I came together with couple of brief instructions. Once you make them your norm, it will all be a piece of cake. There are some ways to keep track with the plan you created. Now, how are you going to do it depends on the pace of your life. You can hang a paper calendar in your kitchen and write down your plan on each day of the week. You can have a notepad to keep track of any unplanned calories you consumed, those moments are inevitable sometimes.The best way to maintain the track with the plan at home and on the go is by using some planning apps. You can set reminders and create task lists, so you don’t forget anything on the go. There are a lot of them available; I recommend you get Any.do so you can sync your tasks and plan on all of your home and mobile devices.Michelle Lewin will soon release her app designed primarily for meal planning and prepping. Every individual is special on its own. And we all have different paces of life, different diets and different kinds of activities. Having that in mind, we all have different amount of calories needed throughout the day. Calculating your personal requirement for calories is quite easy, and you’re about to know how. There is a universal formula for the needed daily intake of calories. But it varies on different body types and the lifestyle of the people. It’s also important what do you want to change about your current state of your body and apply the calorie plan according to that.The first thing you need to understand is how much calories you need for the day. This is very easily calculated and can be done online with Calculator.net. You enter your age, gender, height, weight, and activity. After the calculation, you will get the exact number of calories you need to maintain your current weight, lose or gain. It depends on how you’re satisfied with your look. Now, let’s clear something out when it comes to weight: the majority of people are obsessed with the number on the scale. I consider this to be wrong on many different levels. You can be healthy even if you have a couple of pounds over the limit for your height; the same thing goes below the limit. Instead of checking the scale all the time, take a look in a big mirror, you can look good even with some extra pounds and even if you’re missing some.If you’re not happy with your look, get a gym membership and the problem is solved in either excess or shortage of weight. The shape of the body is more important than the number on the scale, remember that. I mean, take a look at Michelle Lewin, she’s not a slim girl, yet she is fit and looks amazing.Keeping track with some calories, you intake throughout the day is much easier when you prep your meals. You will know exactly how much and what kind of food source is in the meal and how much of calories does it have. You can use this app to enter the ingredients you used in the meals for today and calculate the calories your will intake. The good way of using it would be at the time you are packing the meals, that way you can set the portions according to the overall number of calories of the portions. Pay attention not to intake a lot of calories in the liquid form. Liquid sources of calories are the worst! They are called stealth calories since they come undetected in your body. When you intake calories in the form of food, you naturally reduce the rest of the food you eat. This is not the case with liquid calories, you don’t regulate the amount of the intake, and you can gain weight this way without eating a lot. So be sure that your main source of hydration is clear water, with no flavors or sugars added. Water has zero calories, and you can drink as much as your body requires without of fear of stealth calories going undetected. It’s very important to know what is inside the food you eat every day and how does it impact your health. To gain this knowledge we have to cover some basic substances that are bad for you and how to avoid them, also we will go through the healthy nutrients that will balance out your diet. All for you being as much independent as possible to healthy prep meals, you should know a few nutrition facts that are crucial for the healthy meals and lifestyle. There is some general knowledge about this topic, and some of it it’s true, but it would be best that you get to know the real facts. By now everyone should be aware just how bad sugar is. Sugar is a bad source of empty calories and a cause of millions of deaths each year. There are no nutrients in the sugar whatsoever, and if you eat a lot of it, you have a great chance of becoming deficient because you’re not getting enough foods that contain nutrients. This is just the beginning of the story just how bad the sugar is. Sugar is a leading cause of obesity due to its high fructose content; it causes cardiovascular diseases and type-2 diabetes. Fructose is metabolized by the liver, causing over time a non-alcoholic fatty liver disease, insulin resistance, elevated triglycerides, high cholesterol and abdominal obesity. You probably heard people talking that they can’t help themselves and resist to it, this is because fructose makes the brain resistant to a hormone Leptin, which then makes the brain want to get fatter. So by eating sugar, the brain will always want more sugar intake until it ends fatally. They are one of the crucial elements to keep the human body functioning properly. Deficiency in Omega-3 can cause lower IQ, various mental disorders, depression, and heart disease. There are three primary sources of Omega-3 fats, one is from plants (ALA), and two are from animal sources (DHA and EPA). The original form is ALA from the plant sources which then gets transformed into DHA or EPA to be used by the human body. You can provide your body with Omega-3 by eating fish, or grass-fed meat. They are also found in pastured eggs and fish oil. They are also available in supplements in the form of pills that are located in the drug stores. 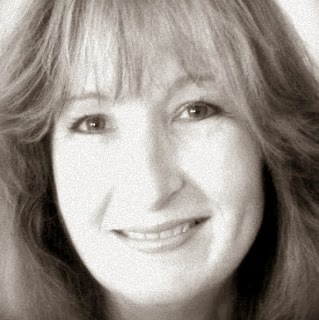 Every human body is unique; there are differences in genetics, body type and environment. Some people are doing best on a low-carb diet while others may be okay on a vegetarian diet that is high in carbs. What works for one person, might not work for the next one. To figure out which one are you, and what suits you the best, you will have to experiment and note the positive and negative changes that occurred. Try different diets until you find something you can stick to. Trans fats are partially hydrogenated oils. They are made by mixing hydrogen gas with unsaturated fats at a high temperature. The process is pretty disgusting and if people knew that they would avoid them all the time. Trans fats lower the good cholesterol and raise the bad cholesterol, cause insulin resistance, inflammation and abdominal obesity. In the long run, consuming trans fats can cause diabetes, obesity, heart disease, depression, Alzheimer’s and many other diseases. Vegetables are the first line of defense from diseases. They provide vitamins, fiber, minerals, antioxidants and a lot more nutrients vital for a healthy body. There are so many different types of vegetables that not only lower the risk of diseases but also add a color and variety of flavors to the dish. Vitamin D is unique. It functions as a steroid hormone in your body. It’s produced by the skin when exposed to ultraviolet rays from the sun. The easiest way to cover your need for Vitamin D is to get enough sunlight on your skin through the day. Bear in mind that is better to sunbathe for a short period than to stay longer exposed with sunscreen on your skin. Sunscreen blocks Vitamin D generation in the skin. Don’t get confused, multivitamins and other supplements cannot completely replace the food. There are a lot of vitamins in the fruits that are not found in multivitamins. Don’t get me wrong, supplements are necessary, but only as an addition, not as a replacement for real food. 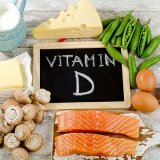 Vitamin D and Magnesium are nutrients that are very beneficial when taken as a supplement. Diets can cause only short-term results. You probably know a few people who transformed when using a particular diet and then went back again to the state before the diet. To avoid the yo-yo effect and to change your life for the better, you have to make a lifestyle change. That kind of a lifestyle change can very much be the meal prepping. Once you get used to it and apply all the knowledge you gathered, your change will be permanent. Ever since the food has been industrialized the general health of the humans went downstream. The direct cause for that is food processing which removes many beneficial nutrients that body needs. To make the thing even worse, not only the healthy nutrients are removed, the bad ones are added! Processed food contains a lot of sugar, refined wheat, and trans fats. By consuming this kind of food, you are taking less of the good parts and more of the bad parts of the food. Avoid the processed foods in your meal prepping, don’t let the laziness get you, make the meals on your own from scratch! To make the choice between groceries easier for you, I come together with the list of foods that are very rich in protein. You will find most of them in the supermarket and you shouldn’t have problems with adding them to your meals. One of my personal favorite treats! 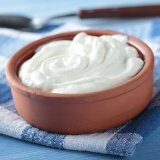 It contains twice as much of protein as regular yogurt (23g), and it has probiotic properties along with the calcium essential for the bones. Rich in casein, a protein that gets slowly digested and supplies the muscles with much-needed amino acids. It has around 28g of protein per cup serving. 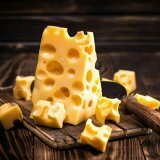 This type of cheese is very muscle friendly, and once for ounce, it has more protein than any other variety available in the supermarket. It’s also rich in fat, but there is a low-fat version as well. 1 oz. serving has about 8g of protein. Essential food for muscles known since forever. Eggs have a high biological value, meaning the protein from eggs can be incorporated into the body more than from any other source available. 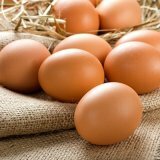 One large egg has about 6g of protein. Along with the eggs, milk has been used in breakfasts and considered one of the essential items to have in your meal. An average fat milk has about 8gr of protein per one cup serving. One of the fastest digesting proteins available today. It’s a great supplement to consume along with the regular food. 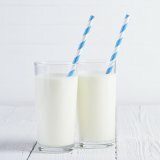 It has low calories, and it’s perfect for making shakes to drink after workouts. The scoop of whey has about 24g of protein. Tuna and octopus are seafood who have the most protein found in them, both packing with 25gr of protein per 3 oz. serving. Halibut stays behind with not that much less, containing 23g of protein per 3 oz. serving. Salmon also has 23g of protein and packs a lot of omega-3 fats. Tilapia is also an excellent source of high protein, containing 21g per 3 oz. serving. Anchovies are a clear winner when it comes to canned protein; they pack 24g in serving. 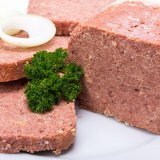 Corned beef follows with 24g of protein and light tuna with 22gr. Most commonly used chicken meat has about 21g of protein in 3 oz. serving. Sardines have the same amount as chicken along with the omega-3 fats. Meat can be an excellent source of protein if you know from whom you’re buying it from. Be wary of industrial meat that has a lot of antibiotics in it. Steak is rich in protein and has about 23g per 3oz. serving. The protein to calorie ratio in steak is 1-7. Ground beef is along with protein a great source of creatine; it contains about 18gr of protein per 3 oz. serving. 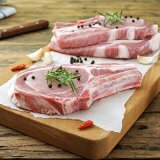 Pork Chops are one of the high protein meats; they have about 26gr of protein per 3 oz. serving. Chicken breasts are one of the most popular meats in the bodybuilding and for a reason, since they have about 24gr of protein per 3 oz. serving. Turkey breasts have the same amount of protein as the chicken breasts; it depends on which flavor you like the best. Pro Tip: Some protein sources also contain Taurin which is beneficial for active people. Check the details about Taurin here. Now that we covered the essential muscle building component, it’s time to set the foundations for foods that are rich in vitamins critical for a healthy body. Minerals are important as much as vitamins, so I will include them in this topic also. 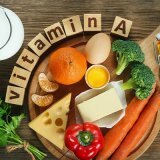 Vitamin A has a key role in immunity, reproductive system, and vision. A vitamin contains beta-carotene which helps the eyes to function properly. The food richest in vitamin A are sweet potatoes. 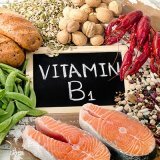 This vitamin can also be found in spinach, fish, milk, beef liver, eggs, and carrots. 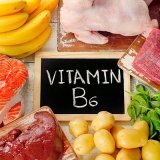 The B6 vitamin helps the body to form hemoglobin, create antibodies to fight diseases and stabilize blood sugar. Some of the best sources are fish, poultry, and beef liver. But the best source which is the richest in vitamin B6 is the chickpea and garbanzo bean. A vital component for a healthy nervous system and the formation of red blood cells and the DNA. It helps a lot to protect the body against anemia. 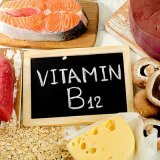 Animal products are the best sources of B12. The highest concentration is in the cooked clams, and other good sources are trout, salmon, tuna and beef liver. A lot of breakfast cereals have added B12. One of the most important antioxidants, and a key ingredient in many bodily processes such as protein synthesis. The general opinion is that citrus fruits have the most concentration of vitamin C, but the largest amounts are in the sweet red peppers. 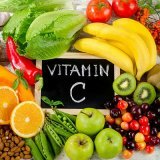 Other sources high in vitamin C are broccoli, cantaloupe, and kiwi. 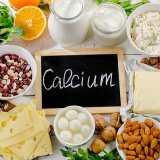 Calcium is the most important mineral in the body, stored in bones and teeth mostly; it also improves muscle function, hormone secretion, cell communication and blood vessel function. 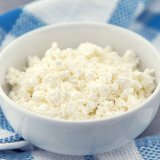 The highest amounts of calcium are found in dairy products such as milk, low-fat yogurt, leafy greens such as Chinese cabbage and kale. I already covered the importance of the vitamin D, and the best sources for it is salmon, mackerel, and swordfish. It can also be found in milk, yogurt, orange juice, and cereals. Being a powerful antioxidant, it protects the cells from harmful free radicals. It’s very important for immunity and blood vessel function. It plays an important role in healing, in situations for example when you cut yourself. 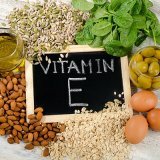 The easiest way to get the vitamin E is to eat sunflower seeds, although the germ oil contains the most out of all sources. 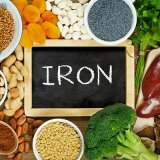 Iron helps proteins to transport oxygen and grow cells. Most of the iron in the human body is found in hemoglobin. Hemoglobin is a protein that carries oxygen all over the body. The best source for iron is the chicken liver, red meat, and fish. 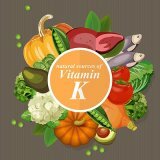 A crucial element in blood clotting, vitamin K plays an important part in stopping the bleeding. It can be found in leafy vegetables such as kale. 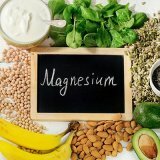 Magnesium helps in a variety of body functions. It maintains the muscle and nerve function, keeps the bones strong and heart rhythm steady. Green vegetables are a great source, one of them being spinach; it can also be found in almonds and cashews. Niacin is important in converting the food into energy, skin and nerve functions and the digestive system. The top source of niacin is dried yeast, but also something more appealing like peanuts, beef and chicken liver. Important in controlling the electrical activity of the heart, Potassium is an essential electrolyte. It also helps proteins to build muscle and in breaking carbohydrates into energy. Sweet potato is the best source along with tomato paste, red meat, beet greens, chicken, fish and regular potatoes. 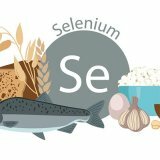 The body requires only small amounts of Selenium, but it has a large role in preventing diseases. It’s a mineral with antioxidant properties which also help regulate thyroid function and boosts the immune system. Brazil nuts are very high in Selenium followed by canned tuna. Be careful with Brazil nuts, because eating them too much, therefore, ingesting too much Selenium can be harmful. 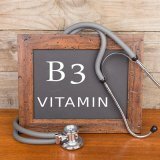 B1 keeps the brain and nervous system functioning properly, and it helps to turn carbohydrates into energy. Pine nuts are a great source of Thiamin along with the soybeans. Pro Tip: Multivitamins are a great addition but it’s better to make your own, more natural. You can find various recipes for multivitamin smoothies like this one here. Some of the experts shared their experience and their meal plans to help your imagination going. 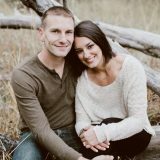 To get a confirmation and insight with experience from various meal plans, I will include more than 20 of them used by experts for you to take a look at. We like to utilize our Crockpot or Instant Pot to make it easy and efficient to cook large meals. That way we have a dinner and then leftovers for lunch. Then, at the same time we'll get a larger make-ahead breakfast going, like a breakfast casserole to bake in the oven. Prepping your meals can be a life-changing experience, if you go through it as you should, it will result in a healthy lifestyle that will pay off in the long run. You will also gain a lot of knowledge when it comes to nutrition and body functions. But remember, do only what you’re comfortable with at the beginning so you can implement it in your lifestyle. Not every solution is compatible with everyone, some people get the shopping done in one day for an entire week, while other will prep the night before. Both solutions are ok, and they can both save your time and your health. You will stand out as a person who cares about their health and knows exactly what is in the food they are eating. Not only can it be a boost to your health, but it can also be a great plan for fitness-oriented people that want to make serious muscle gains. Hopefully, you have learned a lot today and will benefit from this guide significantly.